Love Match And Finding Prince Charming Or Mr Right Concept As Red Female Lips Getting Ready To Kiss A Frog Prince Wearing A Crown As A Metaphor For Finding Romance And Relationship Online Dating Symbol. Royalty Free Fotografie A Reklamní Fotografie. Image 32993444. 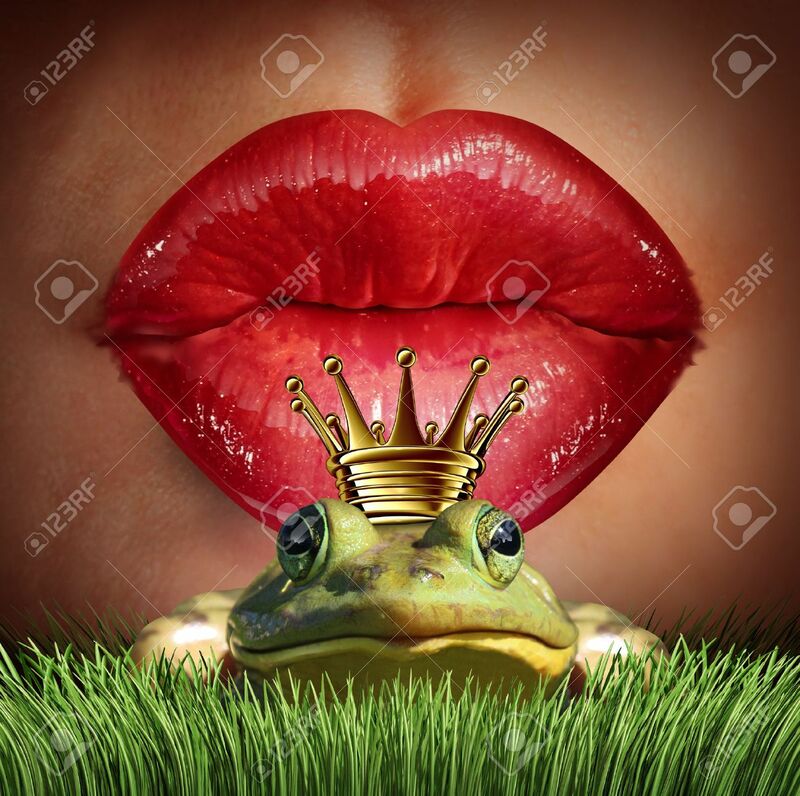 Reklamní fotografie - Love Match and finding prince charming or mr right concept as red female lips getting ready to kiss a frog prince wearing a crown as a metaphor for finding romance and relationship online dating symbol. Love Match and finding prince charming or mr right concept as red female lips getting ready to kiss a frog prince wearing a crown as a metaphor for finding romance and relationship online dating symbol.